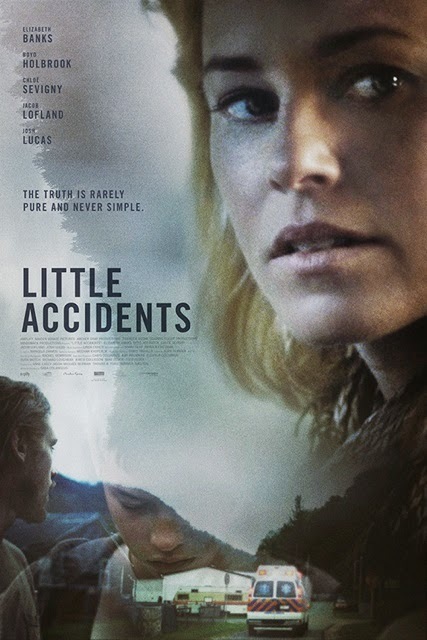 Plot: Product Description: In a small American town still living in the shadow of a terrible coal mine accident, the disappearance of a teenage boy draws together a surviving miner, the lonely wife of a mine executive, and a local boy in a web of secrets. This is a wonderful acted feature. The plot is dramatic and drama inducing. The characters are vivid and each one grows on you. The gloomy and depressing setting, weaves itself into an intriguing, and believable reality that plays on the emotional side of the watcher. This is a fabulous, and wonderfully acted, stunningly directed, with amazing cinematography, and a brilliant story. The only fault that I have with it is the trailer, the preview to the film. I first saw the preview, and I was like, why did they just give the whole movie away. Something that I can't stand that happens with studios, is they get these people to do these trailers, and they put too much, giving half the movie away, and that’s what the preview did to this film, and that is way a lot of the movie is already known. Overlooking that reality the movie works in my viewpoint. It’s a well-crafted piece. It’s like a slice of Americana. The people and situation comes together into a setting that the watcher can understand, and be placed in the situation. A teenage boy goes missing in a small little town. Now the town is in shambles already, because there has been a mining accident that killed many. There is weaving of secrets and lies, and most of all the devastating grief of the community, and loved ones of those lost in the mine. Now, Diane, your main female lead is heartbroken and destroyed at the reality of her teenage son is missing. To make matters worse, her husband is in charge of the mining company that just collapsed, killing many. Add in a lone survivor of the mining accident, and you have a twist and turning of the plot in a dramatic, intense and very intriguing film. I am sad that a lot of the story was given away in the trailer. But thankfully the movie still entertains and creates a touching piece, of a well-directed film, and a plot that is thick and utterly intense in nature. Equal parts, sensual, and equal parts dramatically disturbing. The direction by Sara Colangelo who also wrote it, is flawless. The story is brilliantly written. The story is brilliantly acted out. The atmosphere and small town setting is also something that is flawless to experience, and is captured in vivid detail on screen. This is pure story telling at its finest. I loved the characters, the plot, and most of all the setting, gloomy, depressing, and backwoods style Americana that only leaves more perfection in its ultimate setting. Sadly a lot of that anticipation was destroyed by the trailer to the film, but thankfully the tight direction, acting, and premise, still was able to hold me to enjoy the ultimate truths, and conclusion to this dramatic, and at times, disturbing film. The chemistry between Elizabeth Banks, Boyd Holbrook and Josh Lucas is amazing. They all three play off each other. Loved Chloe Sevigny, she is always a stand out actress that I have followed from the start of her career. She is always a treat to see in film. I think the shining star has to go to Jacob Lofland, who plays the character of Owen Briggs. He aced this part, and is utterly fantastic. I have to mention this is Sara Colangelo’s first feature length film as director, and I think she did a fantastic job. She created a moving piece. The film lost a lot of its sparks through the trailer, but still was able to create a touching example of storytelling at its finest. I highly recommend this movie, DON’T WATCH THE TRAILER, GO INTO IT BLANK SLATE.